With recent attention to issues such as youth social exclusion, poverty, school underachievement, school violence, gang activity, sexuality, and youth’s interactions with media and the internet, youth studies has emerged as a significant interdisciplinary field. It has moved beyond its roots in subcultural studies to encompass a diverse array of disciplines, subfields, and theoretical orientations. Yet no volume exists that systematically presents and puts into dialogue the field’s areas of focus and approaches to research. As a unique blend of reference guide, conceptual dictionary, and critical assessment, Keywords in Youth Studies presents and historicizes the "state of the field." It offers theoretically-informed analysis of key concepts, and points to possibilities for youth studies’ reconstruction. 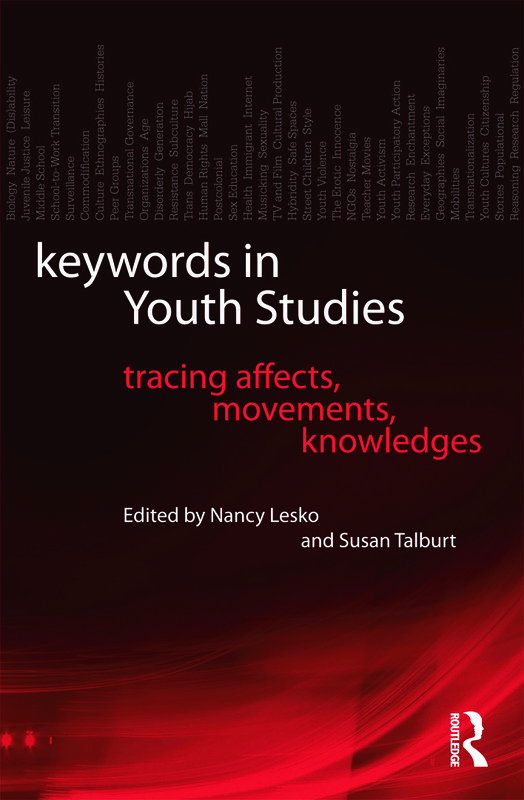 Contributors include internationally-renowned field experts who trace the origins, movements, and uses and meanings of "keywords" such as resistance, youth violence, surveillance, and more. The blending of section essays with focused keywords offers beginning and advanced readers multiple points of entry into the text and connections across concepts. A must-read for graduate students, faculty, and researchers across a range of disciplines, this extraordinary new book promotes new interdisciplinary approaches to youth research and advocacy. Nancy Lesko is Professor of Education and Maxine Greene Chair at Teachers College, Columbia University. Susan Talburt is Director and Associate Professor of Women’s Studies at Georgia State University.